Botox is a Purified Neurotoxin Complex which when injected into a muscle causes paralysis of that specific muscle. 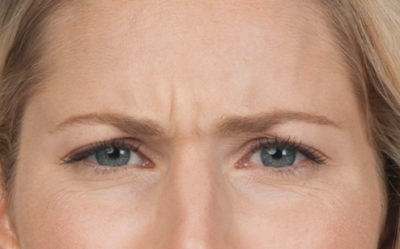 Injecting Botox into the muscles of the forehead wrinkles causes these muscles to paralyze thus smoothing out the area. Botox is very useful in the forehead, between the eyes, the crows feet area and in the “crunch lines” across the nasal bridge between the eyes. The results normally last 4 to 6 months. The injection normally takes 5 minutes or less. There is no downtime associated with Botox injection, such that you can return to work or your social activities immediately. The effect normally occurs within 3 days and the full effect is normally noted after 1 week. Botox is a new and exciting safe way to improve certain areas of the face without the time and inconvenience related to surgery and laser skin resurfacing. Why get treated with BOTOX® Cosmetic? You’ve probably heard a lot about BOTOX® Cosmetic. It’s been in the news, in fashion, health, and beauty magazines, and on TV. Your friends may even be talking about how it works. Could this be what you’ve been looking for—a procedure that can temporarily smooth those moderate to severe frown lines between your brows with no surgery and no recovery time? An improvement can be seen within days, lasting for up to 4 months. Results may vary. You think those stubborn frown lines between your brows make you look tired or upset. It seems like something that you could do to help maintain your appearance. 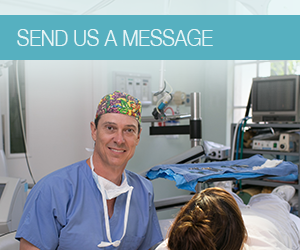 Almost 3.3 million procedures were performed in 2005 alone—a 16% increase over 2004. Not just models and movie stars, but people from all types of professions have tried it. In fact, the American Society for Aesthetic Plastic Surgery (ASAPS) ranked BOTOX® Cosmetic as the most popular physician-administered aesthetic procedure in the United States for the fourth year in a row (surgical and nonsurgical combined). What’s more, the ASAPS surveys ranked BOTOX® Cosmetic as one of the low-entry-cost facial aesthetic procedures in the United States. It’s all about freedom of expression. . .
Maybe you heard a friend talk about her experience with BOTOX® Cosmetic—and you think your friend looks great—but before you get treated, you’d like to know more about it first. In this section, you can learn why skin ages and what causes wrinkles. Find out what to expect at the doctor’s office, from the moment you step in the door to after the injections and read about the injection process itself. Other questions you have about BOTOX® Cosmetic may be answered in FAQs and How Often Is Treatment Recommended? Also, be sure to visit our Before and After Photo Gallery. You may have seen what BOTOX® Cosmetic did for a friend; now see what it has done for other men and women too! Prescription Dysport® is an injection used to temporarily improve the look of moderate to severe frown lines between the eyebrows (glabellar lines) in adults less than 65 years of age. XEOMIN® is a prescription medication used in facial aesthetics to temporarily improve the appearance of moderate to severe glabellar frown lines between the eyes (glabellar lines) in adults. XEOMIN® is also sometimes referred to as incobotulinumtoxinA.